Members to Review and Vote on Changes to Article 9.2 and Bylaw 8.11 a. i. The SHCA is calling a special meeting for all its members on February 5, 2019 at 7:00-7:15pm in the Silverwood Heights school to review and vote on changes to Article 9.2 and Bylaw 8.11 a. i. Are you coming to the SHCA AGM tonight? This is a reminder that the SHCA AGM is tonight at Silverwood Heights School Library at 7:00pm. Meetings typically last about 1 hour however we have the library booked until 9:00pm. Come and go as you please if you’re just looking to check us out. Everyone is welcome! St. Angela rink rebuild a huge success! Wow! We replaced all the wood on a 30 year old hockey rink in 9 hours! Thank you volunteers! St. Angela School Rink Rebuild – Volunteers Needed! Fun Day 2018 information & upcoming SHCA meeting times updated on our website. Get in the game with Hollandia Soccer! Are you looking for a team sport for your child that balances competition and fun and can be enjoyed for their whole life? It's SUPER important that we receive as much feedback as possible on the use of this playground area in order to help us achieve our goals. Thanks in advance for your time! In honour of our dear friend and colleague Keith Briant, we are placing a dedication bench in WJL Harvey Park North in Saskatoon. Lori Bell has been contacting the City of Saskatoon and we have approval. The following is a letter (download original) to Silverwood Heights residents from the City of Saskatoon's Senior Transportation Engineer, Nathalie Baudais, regarding an upcoming meeting to discuss concerns regarding the walkway between Cochin Place and Redberry Road…. Our printed newsletters typically go out in August of each year. We also have 1-2 additional e-newsletters. To make sure not to miss out, please fill out the subscription form at the bottom of any page. 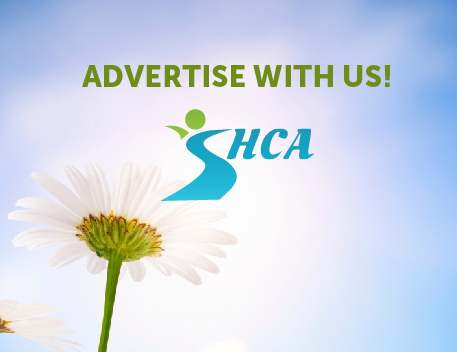 Fall 2015 - SHCA Printed Newsletter - "The Times"
Fall 2014 - SHCA Printed Newsletter - "The Times"
Winter 2014 - SHCA Printed Newsletter - "The Times"
Fall 2013 - SHCA Printed Newsletter - "The Times"
Winter 2013 - SHCA Printed Newsletter - "The Times"
Fall 2012 - SHCA Printed Newsletter - "The Times"
Fall 2011 - SHCA Printed Newsletter - "The Times"
Winter 2011 - SHCA Printed Newsletter - "The Times"